He and Rachel were the only reason I continued watching the show. I guess no more Glee for me. you forgot about Trevon already? who was this white man anyhow? What does he mean to your life??? 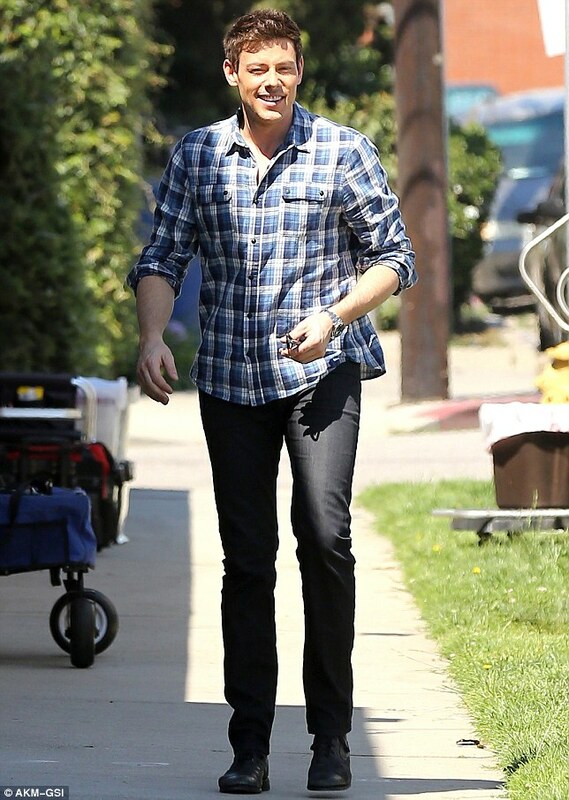 Glee actor Cory Monteith has died at the age 31, it has been confirmed. 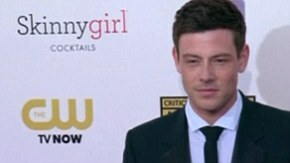 The Canadian actor - who played Finn Hudson on the hit FOX series - was found on Saturday in his hotel room at the Fairmont Pacific Rim hotel in Vancouver. Cory - who completed a stint of rehab in April for substance addiction - was last pictured with his girlfriend Lea Michele just last month. 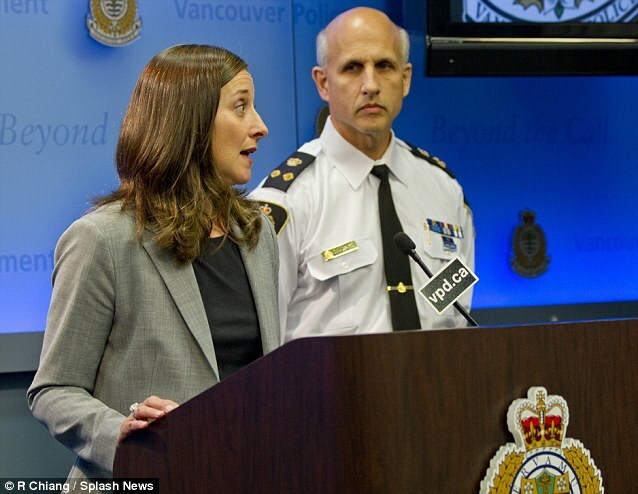 The news was confirmed by Vancouver Police at a press conference on Saturday night. No cause of death has been confirmed at this point, but there were said to be no implications of foul play. Medical examiners will conduct an autopsy on Monday. 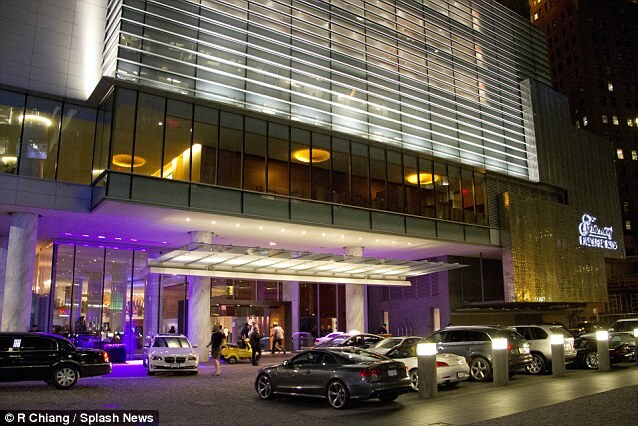 Cory had checked into the hotel on July 6 and had been due to check out on Saturday. However, video footage had shown the actor returning to his room by himself after an evening out with friends on Friday. Word had begun to spread on Twitter of the news late on Saturday night although there was no official comment made at that point. Many believed it to be hoax, as it is not the first time news of his death had spread over the internet. Tragically, this time the rumours turned out to be true. 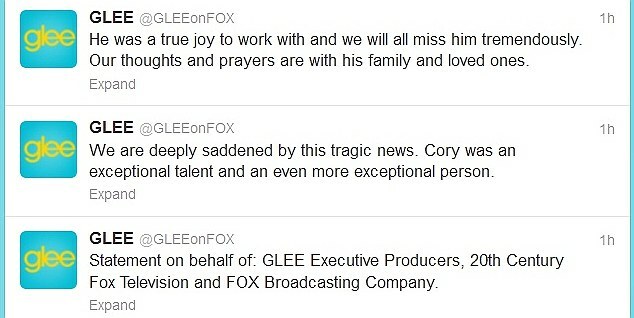 A statement from Fox - who produced Glee - went out on Twitter shortly after the death was announced: ''We are deeply saddened by this tragic news. 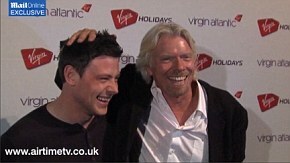 Cory was an exceptional talent and an even more exceptional person. 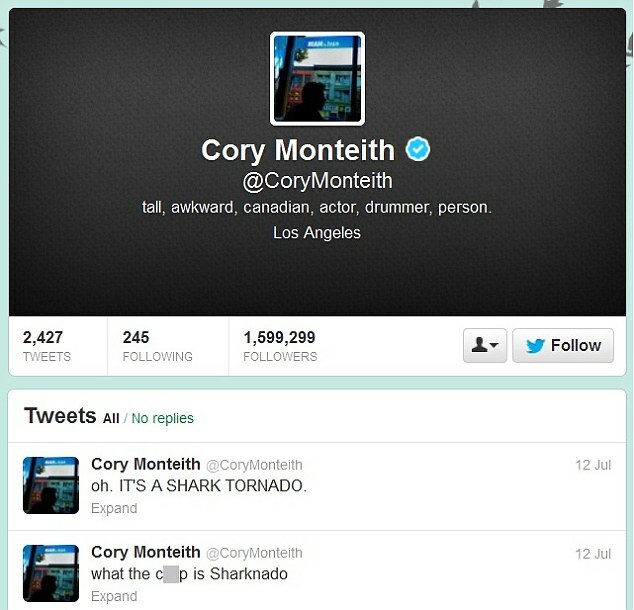 Cory last tweeted on Friday, joking about the new sci-fi film Sharknado. 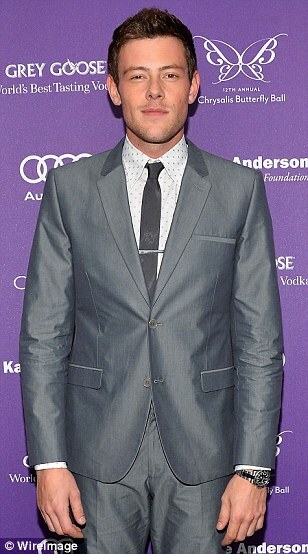 Just last month, the actor appeared to have put his troubles behind him after a brief spell in rehab as he attended the Chrysalis Butterfly Ball on June 8 in Los Angeles - their last public event together and his first post-rehab. Cory was seen with his girlfriend Lea, 26, at LAX airport on June 20th, both smiling at cameras. Lea appeared to be particularly proud of Cory, who successfully completed a rehab stint in April for what his rep described at the time to be a substance addiction. It was Cory's second trip to a treatment facility - his first stint occurred when he was 19. The pair were pictured in late April after the actor had left rehab, going on holiday to Mexico together. 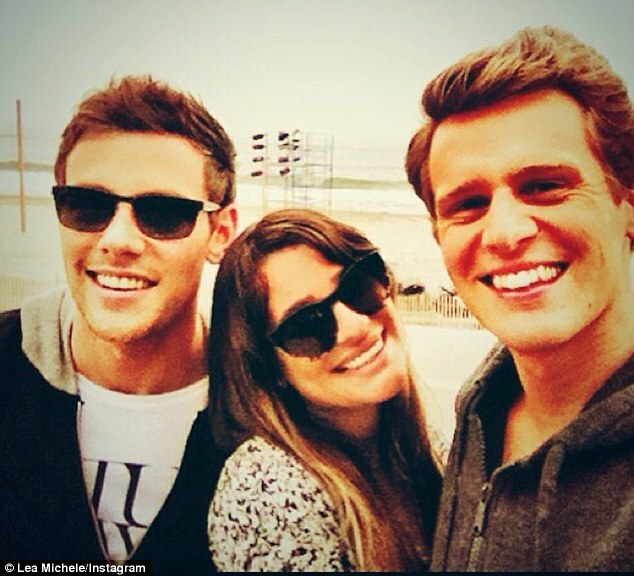 Lea also accompanied Cory on a trip to home to Vancouver to visit his mother Ann. In 2011, the actor sensationally admitted that he was 'lucky to be alive' after he went to rehab as a teenager for alcohol addiction. Cory admitted he skipped school to get drunk and smoke pot when he was just 13-years-old and quit his education at the age of 16. By the time he was 19, the TV singing sensation was undergoing a stint in rehab to battle his demons. 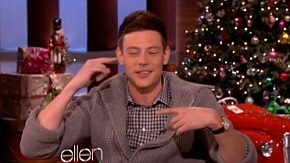 Cory was born in Calgary to Joe Monteith and Ann McGregor in 1982, joining big brother Shaun. After his parents divorced when he was seven, he and his brother moved with their mother to Victoria, British Columbia. 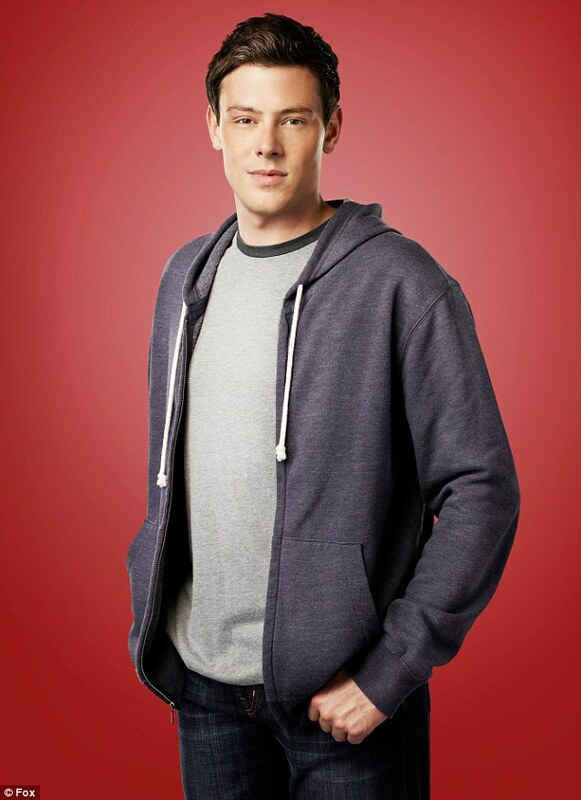 Although a promising student, Cory grew up to be a troubled teenager, experimenting with drugs and alcohol. Following his original rehab stint at 19, Cory worked several jobs, including a Wal-Mart people greeter, taxi driver, school bus driver and roofer. After turning to acting, he made his first TV appearance in Stargate Atlantis in 2004, going on to make his film debut in horror film Killer Mary two years later. Before finding fame on Glee as Finn in 2009, he also had small roles in Final Destination 3 and Deck The Halls. He was cast in Glee after his agent sent creator Ryan Murphy a video of Cory drumming with pencils and plastic containers. After a second video was submitted featuring Cory singing 'a cheesy, '80s music-video-style version' of REO Speedwagon's Can't Fight This Feeling, he was invited to a mass audition in Los Angeles, where won over producers and was given the role of Finn. In the original series, Finn was the star quarterback of the William McKinley High School football team, who was blackmailed into joining the glee club New Directions by Will Schuester (Matthew Morrison). Fans of the show have been captivated by Finn and Rachel Berry (Lea's character) on/off romance. already saying ignorant things about some guy just bc he's white..
anywho, is it wrong to say he was cute?